At Pole Position Auto Body, all of our collision repairs leave the lot looking shiny and new with a fresh coat of paint and wax . And most vehicle owners will often get a renewed enthusiasm for keeping their cars in showroom condition. So how do you keep your vehicle looking pristine and protect the new paint at the same time? Avoid commercial car washes for at least 30 days. 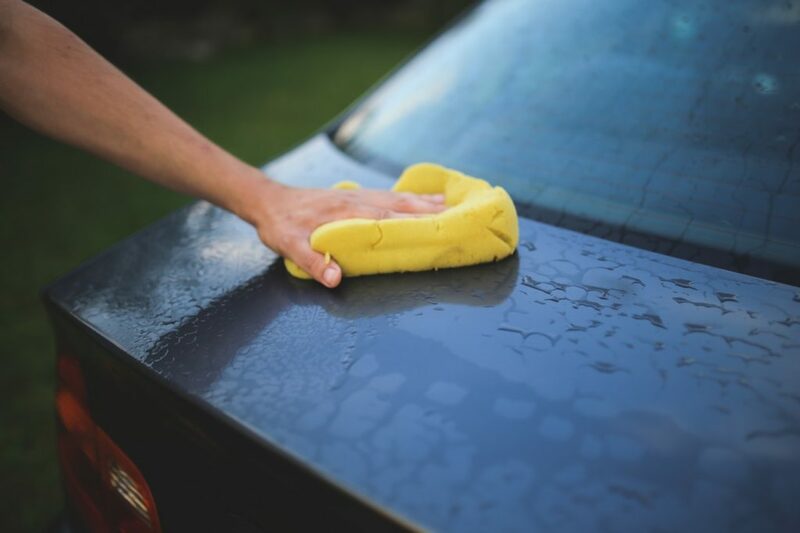 Washing your car by hand is always a better choice because the commercial facilities use brushes that may scratch the paint. But you must avoid them completely after a collision repair. Always wash your vehicle in the shade to avoid direct sunlight. We recommend that you avoid waxing your vehicle for 60 days after it is repaired to allow the finish to completely cure. After the 60 days are up, wax the exterior every 2 to 3 weeks with a high quality wax that is approved for automotive paint. Ask one of our technicians at Pole Position Auto Body if you are not sure of which type of wax to use. After waxing your car regularly every 2 to three weeks, you will eventually only need to apply wax every 4-6 weeks. If possible park the vehicle in a garage or parking structure to protect your new paint from sun damage, fallen leaves and other debris that can scratch the paint. Keep a close eye on the exterior for any scratches or other contaminants. Address them right away by either removing them with clay bar or have more serious scratches buffed out by an auto body professional. Lastly, you can prevent damaging to the paint by avoiding dirt or gravel roads. The fresh paint is hasn’t had enough time to harden into a protective barrier yet and will be vulnerable to any chips and dings that may occur from rocks. Do You Need Collision Repair in Warren, MI? Pole Position Auto Body is a collision repair facility located in Warren, Michigan. For almost 29 years, we have been building long term relationships with our customers and have a proven track record of providing repairs almost 3 days quicker than the average facility. Where excellence is a habit not an act!